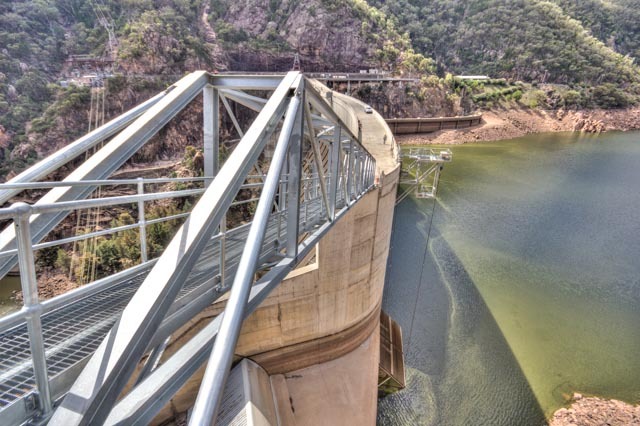 New walkway bridge completed on the Burrunjuck Dam upgrade for State Water by Abergeldie Complex Infrastructure. photography services where ever you require us anywhere in Australia. safety compliance orf First Aid, Fire Extinguiser and recovery gear. Agricultural sites, Mining, Desert, Snow Regions and muddy wet terrain. We are ready to access anywhere! so why not contact us to day for a quote.